Still alive, still reading manga, still watching anime. I’ve been to Japan more than a dozen times. William’s been there once. And he still gets to try the hot springs before I do. © ディエゴの日々 (Diego no Hibi). All Rights Reserved. 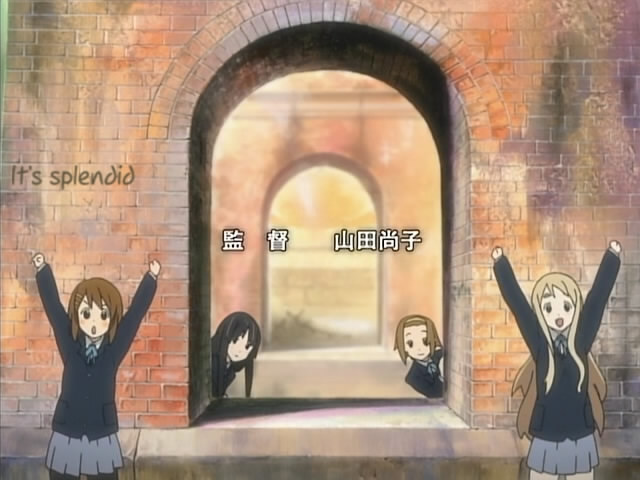 When I saw K-ON!‘s complete opening sequence for the first time, my eyes latched onto the very brief scene capped above. I’ve seen that place before, I thought. Rifling through the photographs I took during my stay in Kyoto earlier this month, I found the evidence to back up my sudden realisation. 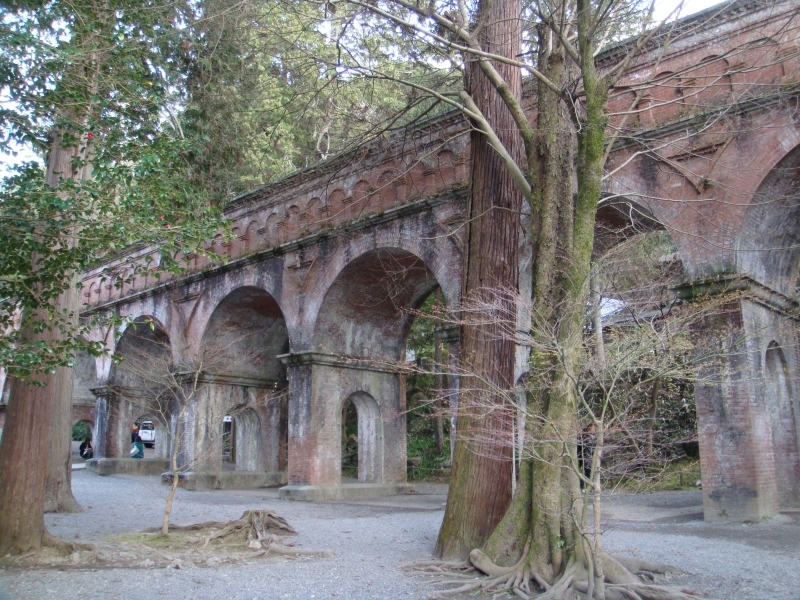 The famous Meiji-era brick aqueduct located on the grounds of Kyoto’s Nanzen-ji temple complex. The match is good, but not perfect. To get a 100% image-to-image equivalence I should have snapped a horizontally-oriented picture closer to the far end of the aqueduct, where the ground rises and the arches are lower. The lighting could’ve been better, too; a combination of cloud cover and the time factor (it was getting late in the afternoon) made the actual scene darker than its animated counterpart. In any case, it can’t be helped. These photographs were taken the day before K-ON!‘s first episode was aired and were shot without any knowledge on my part that the landmark would feature in the OP. I’ll be sure to keep a sharp eye out for other serendipitous catches whenever I sort through my image files. EDIT (28 April 2009): The location hunters are on the prowl! One of Shin’s posts on Atarashii Prelude links to an image with additional K-ON! real-vs-animated location comparisons. If there are any more of these out there, I’d appreciate being tipped off about them – it’s been a while since I’ve seen something on the scale of the Nishinomiya Report. ANOTHER EDIT (29 April 2009): More links, this time featuring photographs of the real-life inspiration for the school building in K-ON!. Note that both pages – this one and this one – are written in Japanese, but that’s fine: there’s no language barrier where simply looking at pictures is concerned. Tip of the hat to Omo for first linking to them. We probably won’t see a pilgrimage the scale of Lucky Star despite this though. That said I’m amazed they managed to pinpoint all those real life locales in within such a short period of time. Man, KyoAni really puts in lots effort in their production. Anyway, good for you Diego ! @Shin: You’re right, I don’t think the monks of Nanzen-ji should worry about droves of otaku trampling all over their sacred moss. And I’m also impressed with the tracking skills of those location hunters. @Legionarion Conquistadorz: Thanks. 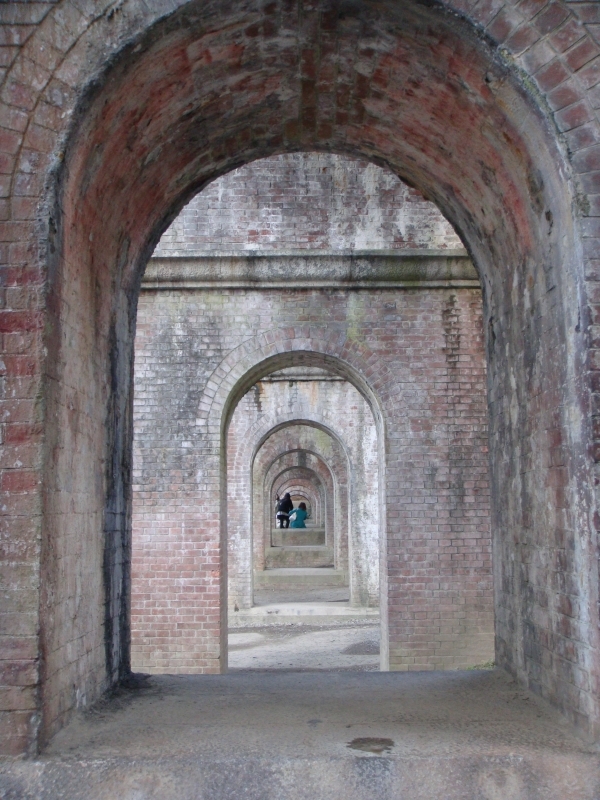 If I see any other places I visited in this season’s anime I’ll blog about those too. If you were looking for my other (travel) blog . . .